So begins The Present Tense, a song by Sydney Carter which sums up his approach to life and faith: based on personal conviction not imposed authority, complex not simplistic, questioning not dogmatic. He has been, through his songs, an inspiration and support to many, most of whom he never met, many of whom were not even aware of his name, some of whom do not even share his faith. And that includes me, an atheist who nevertheless appreciates the power, the beauty and the wry humour of Sydney Carter’s songs. Carter Sydney (holding a skull) with the Friends (Quakers) Ambulance Unit in the summer of 1940. Sydney Carter was born in 1915, during World War I. He was baptised and buried as an Anglican, but his spiritual home was with the Quakers, a nickname for the Society of Friends which stuck. Like the Quakers, he was a pacifist and joined the Friends’ Ambulance Unit when World War II broke out, serving in Egypt, Palestine and Greece. In Greece he had his first significant encounter with traditional or folk music, which in turn led to his career as a songwriter. But the light will be shining at the end of it all. One of his most-sung songs, Lord of the Dance, is based on the melody of a Shaker song, ‘Tis The Gift To Be Simple or Simple Gifts, often credited as traditional but written by Elder Joseph Brackett, Jr. (1797–1882). It isn’t so widely known among the many schoolchildren, church choirs and folk singers who have sung the song that Sydney’s inspiration for the lyric came from a confluence between Jesus and the god Shiva, Hinduism’s Nataraja or Lord of the Dance, who destroys so that the god Brahma can re-create. This source of inspiration sums up Sydney, seeking unity in diversity, seeing all faiths as imperfect attempts to encode what is essentially mysterious about life, “by whatever name you know”, as he put it in song. His only enemy was unyielding institutional dogma, which brings with it the certainty of truth, which in turn creates enemies of all who question or believe differently. And it follows from this theology, what Carter called his “rock of doubt” or his “dance in the dark”, that he saw the bringing of unity and peace in the world as central to his faith. 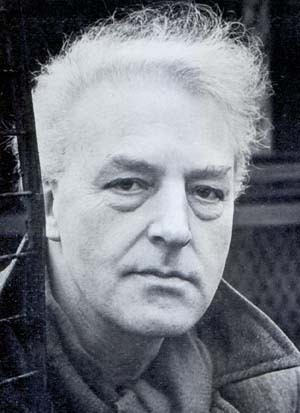 Thus it was that he wrote his other ‘signature tune’, When I Needed A Neighbour, for the launch of Christian Aid Week in 1965, premiered by The Ian Campbell Folk Group at a rally in Trafalgar Square. This song is a little unusual for Sydney, lyrically simple with a straightforward message, as you might expect from a campaign song. Most of his songs were more deliberately oblique, as he saw the true meaning of the song, not in the voice of the singer, but in the response in the mind of the listener. In 1960, both Enoch Powell and The Daily Mirror tried to have the song banned. What those outraged Christians failed to realise is that being angry at God for injustice is only as controversial as the Psalms, and that one mainstream version of Christian theology is that God was crucified on the tree to pay for the sins of humanity. This isn’t stated outright in the song, of course: Sydney Carter’s songs were a subtle teasing, a catalyst, not a theological sledgehammer or a statement of dogma. In the light that is coming in the morning? Sing, John Ball, and tell it to them all! Not all of his songs were overtly religious or theological, but all were thoughtful, playful, gently provocative. The Rat Race wryly tells the story of a man who steals to keep up with the demands of consumerism, then on conviction he climbs on his prison bed to see the view beyond the bars, only to find that “a bloody great advertisement had blotted out the stars”. Crow On The Cradle juxtaposes the hopes and dreams of parents for a newborn baby with the realities of living in a war zone, to which even newborns are not immune. I’m waiting for the film to come. Silver in the Stubble is one of the few songs I know about growing older, and the most telling song I know about middle age. “This song should be accompanied by an electric razor”, said Sydney on his live LP of 1967, Sydney Carter & Jeremy Taylor at Eton. Click on image to play video (opens in new window). Silver in the Stubble by Sydney Carter, performed by Ian Pittaway. I have omitted one of Sydney’s verses, added one of my own (the second), and slightly altered the words of the chorus to suit how I wish to express the song (see final paragraph of this article). Mixed Up Old Man expresses the view of a convicted old man who wishes he was young because, he imagines, if he were he could get away with it by blaming his actions on the influence of TV violence and being “misunderstood” by society. The folk singing fraternity recognised the significance of Sydney’s song-writing talent from the beginning. His songs have been performed and recorded by Martin Carthy and Dave Swarbrick, Julie Felix, The Ian Campbell Folk Group, John Kirkpatrick, Maddy Prior, Show of Hands, Sheila Hancock, Nadia Catthouse, Jackson Browne, Dayle Stanley, Stefan Sobell, Tania Opland and Mike Freeman, Mary Black, The Spinners, Donald Swann, Judy Collins, Lady Maisery, Chris Wood, Dave Webber, Bob and Carole Pegg, Pete Seeger – to name just a few. 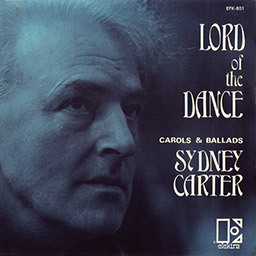 He achieved the remarkable feat of composing three songs that have been so widely sung in churches, in choirs, in schools and at public occasions that almost anyone would recognise them, whether or not they’ve heard of Sydney Carter: When I Needed A Neighbour, Lord of the Dance and One More Step Along The World I Go. At folk clubs and festivals you can add John Ball to that list. I have sung Sydney Carter’s songs since I was 18 – I am nearly three times that age now – nearly always in folk clubs, which Sydney saw as the natural home of his work, and where he sometimes performed himself. My only near encounter with him personally was in 2000 when I recorded George Fox for a solo album. I wanted to send him a copy of the album, but his publisher informed me that he had Alzheimer’s and was being cared for in a nursing home. He died in 2004.